Here at Imperial Car Supermarkets we pride ourselves on customer satisfaction. Without insight from our customers we wouldn’t be where we are today, we’re driven by you. It is with this insight that we have tailored the customer buying experience to cater for a wide variety of wants and needs. We have lots of happy customers posing with their new cars on our customer reviews section of our website. 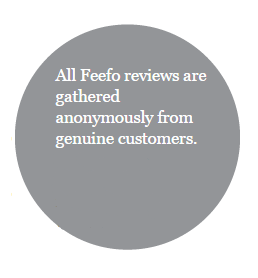 We also partner with Judge Service who independently request a review after purchase and now we are also on Feefo. Feefo score us on our product as well as the level of service given. We are very proud to announce that for customer service we have a huge 83% and our product (the cars we sell) with an even more impressive 96%. So overall 89.5% of our customers are extremely happy with their purchase and the level of customer service they received when purchasing a car. So if you want to buy a car where customer satisfaction is number one then look no further. Click here to check out our current stock range, find your perfect car and give us a call. We’re here til 9pm Monday to Saturday and til 6pm on Sunday and there will also be a representative happy to help you on the phone or live chat.